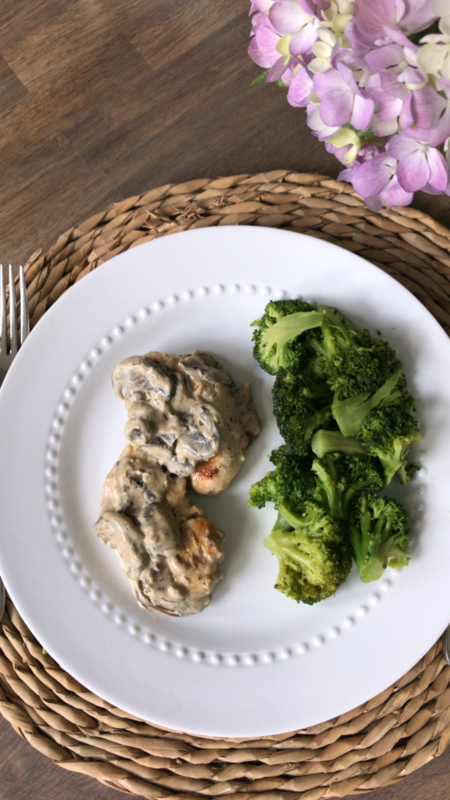 This cream cheese and mushroom chicken dish is fast, easy, and delicious! You don’t have to be on a ketogenic diet to enjoy it! If mushrooms aren’t really your thing, you can substitute other vegetables such as zucchini. 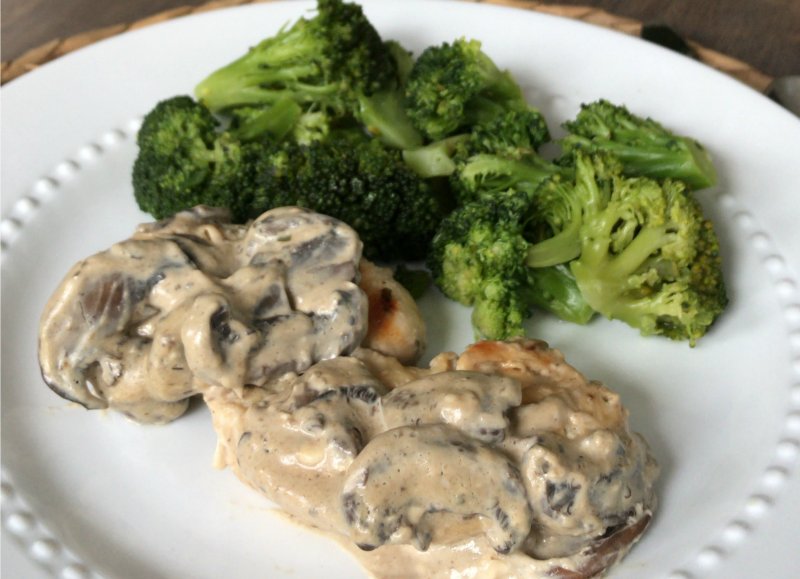 I shared this quick and easy keto cream cheese mushroom chicken recipe on my Instagram Stories a few weeks ago and promised I’d share it here on the blog for those of you who wanted more details. I like to share easy recipes as I’m making them on my Instagram Stories. If you’re not following me yet on Instagram @homestoriesatoz, I’d love for you to do so! I’ve followed a ketogenic diet for almost 8 months now and have felt so much better! 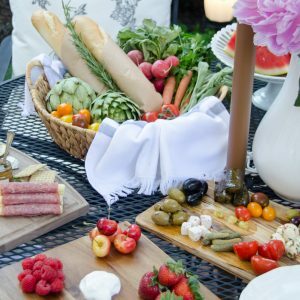 If you’re unfamiliar with keto, you might like to check out my post: Keto Diet: What I’ve Experienced. Besides clearer skin, improved allergies, and more energy, I’m also down 24 pounds. 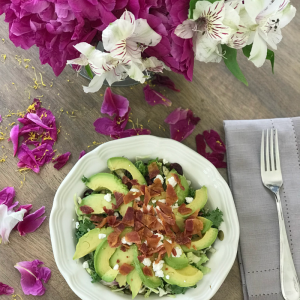 But even if you’re not following a keto-diet this recipe is a good one to try. My entire non-keto family loves it and instead of eating it plain will serve it over a bed of spaghetti. 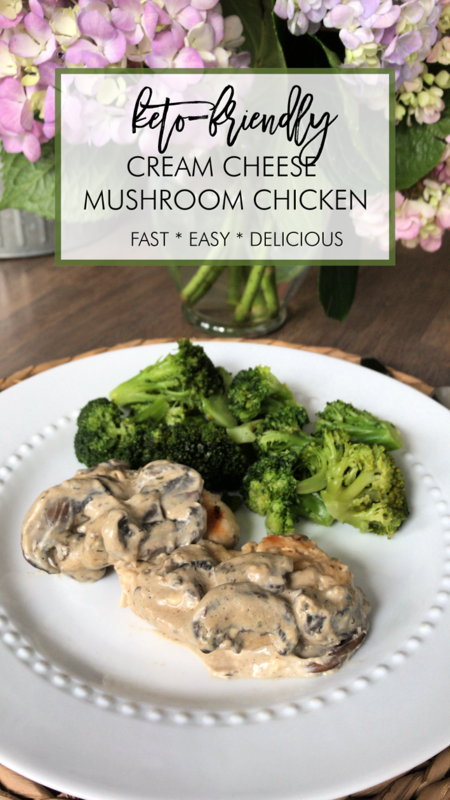 Note: This recipe is very forgiving and the amount of chicken broth you use will vary depending on how many ounces of mushrooms you are using. Don’t get too hung up on the numbers and use common sense in how things are cooking. 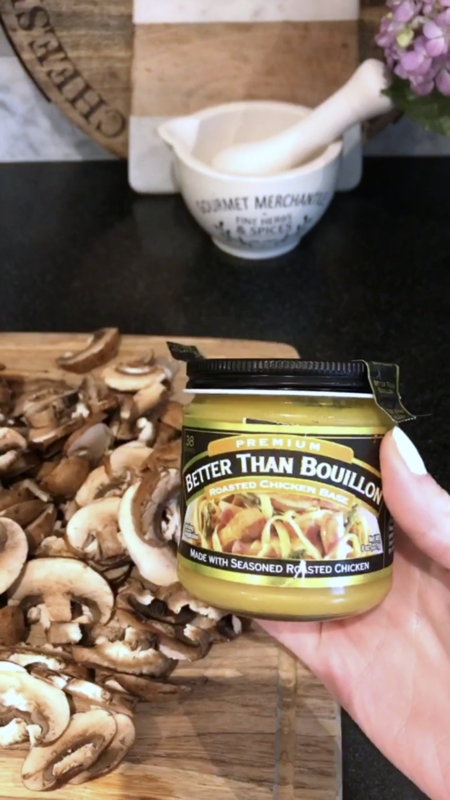 If your broth evaporates before your mushrooms are thoroughly sauteed, add more broth. 1 package of chopped baby portobello mushrooms (around 8-10 ounces). It’s okay if you have more or less. In a large frying pan, drizzle avocado or olive oil and heat on medium to medium high heat. 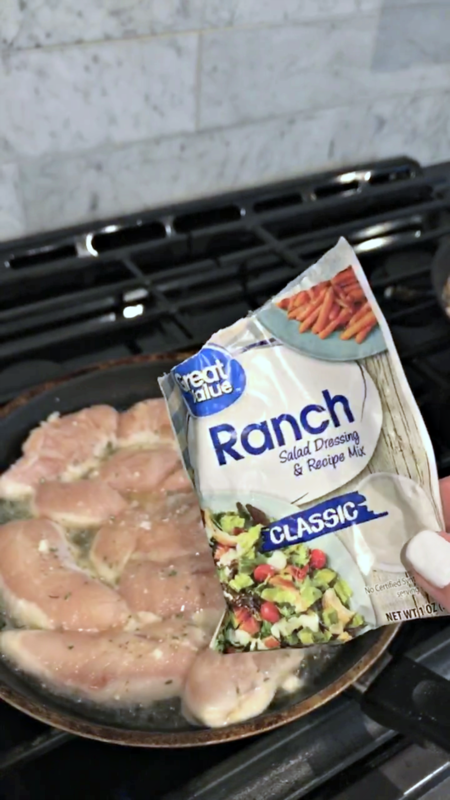 Place tenderloins in pan and season with some of the ranch dressing packet on each side. Cook chicken for 3-5 minutes per side, or until chicken is slightly golden brown and cooked. 2. While chicken is cooking, saute mushrooms in chicken broth over medium heat until done. 3. 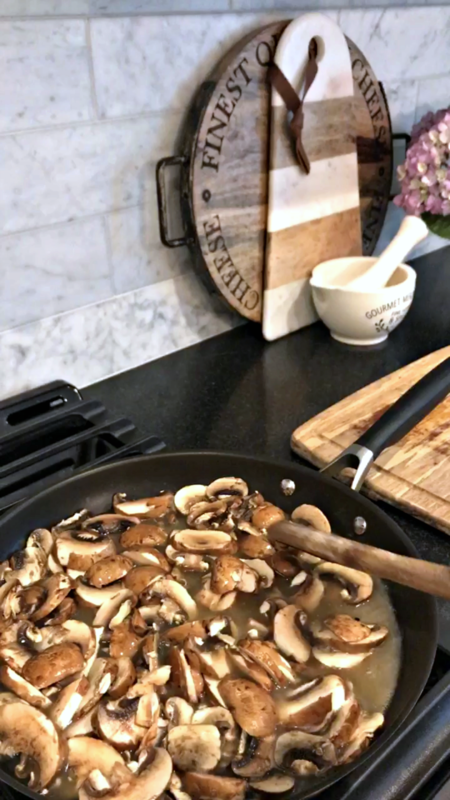 Once mushrooms are cooked, turn heat to low or medium low and add cream cheese to mushroom pan. Use a whisk to incorporate cheese until cheese is smooth and melted. Add a splash of cream or milk if a smoother and saucier consistency is desired. Cheese may look lumpy at first, keep whisking over low to low medium heat until desired consistency is achieved. Pour sauce over chicken and serve. 1 package of chopped baby portobello mushrooms (around 8-10 ounces). It's okay if you have more or less. While chicken is cooking, saute mushrooms in chicken broth over medium heat until done. 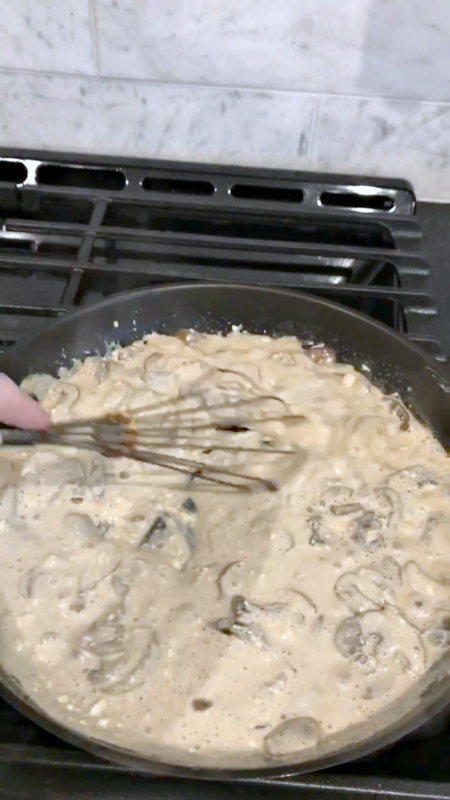 Once mushrooms are cooked, turn heat to low or medium low and add cream cheese to mushroom pan. Use a whisk to incorporate cheese until cheese is smooth and melted. Add a splash of cream or milk if a smoother and saucier consistency is desired. Cheese may look lumpy at first, keep whisking over low to low medium heat until desired consistency is achieved.Pour sauce over chicken and serve. I made this shortly after I saw it in your stories. You know how us southern cooks are, we like to add our own touch . I added a few onions to the mushrooms and when it was all done I stirred in a big spoonful of sour cream. We all loved it. 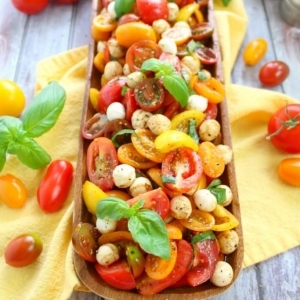 I especially loved the simplicity of this recipe. Thank you. By the way, all your blogs are excellent. I enjoy reading them.